Algeria’s president, Abd el-Aziz Bouteflika, 77, is ailing. On November 14, 2014 he was admitted to the cardiology department of a French military hospital. The race for Algeria’s top position will be wide open. The Algerian president is the chief of Africa’s second largest army and also heads the largest producer of natural gas in Africa and its second largest oil producer. Power in Algeria is concentrated in the president’s office, in an uneasy partnership between top party, military, and intelligence officials. Bouteflika seems to preside over a government in which he has been manipulated from behind the scenes by his clan, headed by his younger brother, Said. Protests sweeping the country are also an indicator of political and social instability. Strikes in various public sectors, from education to transportation and postal services, signal a discontented working class. Recent months have seen unprecedented growing tension between the police and the state. While there is still a possibility of a peaceful and stable transition of power, prospects are dimming in light of growing internal divisions and popular opposition. 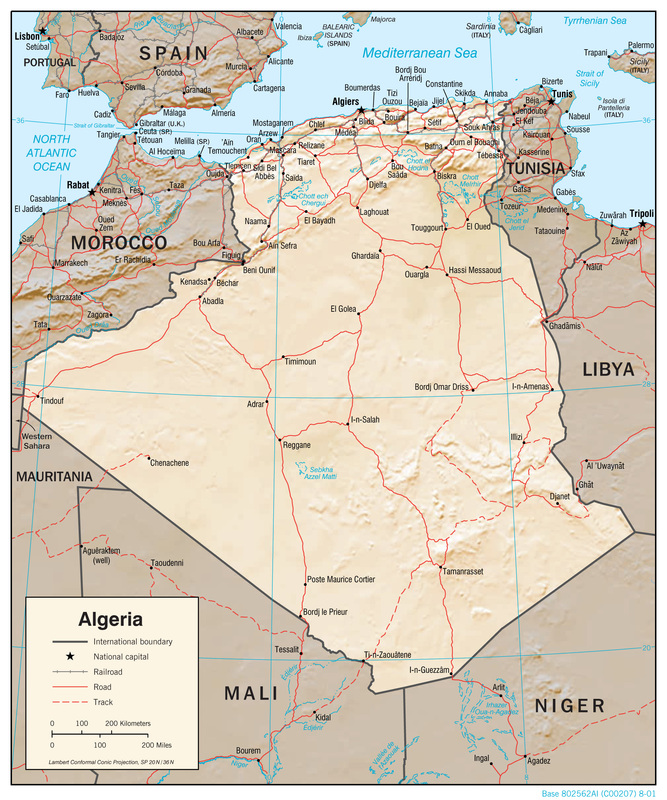 Algeria is at the forefront of the fight against extremist Islamist groups in the deserts to the south as well as in neighboring Tunisia. For the West, Bouteflika’s departure, when it happens, could be a big loss especially since the Arab Spring eliminated longtime allies such as Egypt’s Mubarak, Tunisia’s Zein el-Abdine Ben-Ali and Yemen’s Ali Abdallah Saleh. At the end of the day, the West could find itself without reliable interlocutors in North Africa. The race for Algeria’s top position will be wide open. The Algerian president is the chief of Africa’s second largest army and also heads the largest producer of natural gas in Africa and its second largest oil producer. Speculation will not solve the riddle of Bouteflika at this stage. In fact, nobody really knows who will succeed Bouteflika, for an orderly transfer of power appears unlikely; either the president will die in office or serve out his five-year term. Bouteflika, a shrewd political player even before independence, ruled Algeria for 15 years with an iron fist neutralizing every possible center of power that could challenge him. 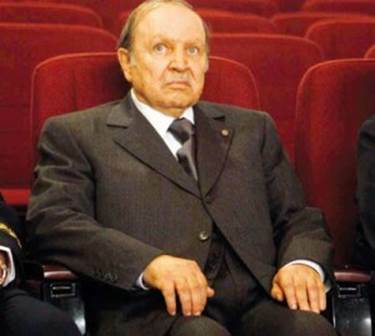 As a result, Bouteflika has no obvious successor. His death could ignite a struggle for control among the elites. While Algeria’s Constitutional Council can declare the president unfit to rule, its decision must be ratified by two-thirds of the parliament. The president of the Senate then takes over for 45 days until new elections.9 It is commonly acknowledged that Bouteflika’s associates would prevent any impeachment vote. His successor would likely be decided by top generals and party leaders. General Mediène, 75, has been able to re-impose himself on the national leadership. The presidency has struck back, ordering all DRS personnel out of their traditional ministerial oversight posts, but has not yet dared to make the demand official. Meanwhile, the normal day-to-day responsibilities of the presidency – the annual rotations of diplomats, judges and provincial governors — have been put on hold. The emergence of a new contender for succession, interior minister Tayed Belaiz, 66, marks a new development in the political scene, writes Anne Favory of the McGill International Review. Born in Maghnia, in the wilaya [province] of Tlemcen (as Bouteflika), Belaiz is considered close to the Bouteflika family, holds the respect of many senior political officials, and is currently among the most likely successors. Bouteflika is considered to be Belaiz’ spiritual father and it was under his auspices that his political career took off.16 However, tensions between Belaiz and other potential candidates, such as Abd el-Ghani Hamel, 59, the director general of National Security, put in question the likelihood of a peaceful transition.17 Conflict arose between the two men over the management of security forces when Hamel accused Belaiz of impeding the demands of the police. Many political analysts view the latest tensions as a consequence of the politicians’ aspirations for the presidential succession. Internal conflicts within Algeria are problematic and tend to reflect the actual state of affairs between the rival parties. Moreover, the protests sweeping the country are also an indicator of political and social instability.18 Strikes in various public sectors, from education to transportation and postal services, signal a discontented working class exacerbated by the stagnation stemming from the prolonged absence of Bouteflika. Recent months have seen unprecedented growing tension between police and the state. The unparalleled display of dissent from the Algerian police could suggest additional upheaval.19 Political protests from the police against Hamel are a clear example of the power struggle between the cabinet and other national institutions.20 Claims of internal conflict between the DRS and the presidency over the succession reinforce the assertion of deep-rooted divisions within the ruling elite. The transitional order that will accompany the presidential succession will undoubtedly pose challenges to its political legitimacy. While the possibility of a peaceful and stable transition of power is still possible, prospects are dropping in light of growing internal divisions and popular opposition. The race for Algeria’s top position is wide open. Speculation will not solve the riddle of Bouteflika at this stage. In fact, nobody really knows who will succeed Bouteflika, for the president will either die in office or serve out his five year term. In the meantime, Algeria stagnates, public anger at administrative chaos grows, as will frustration over worsening poverty as oil-and-gas revenues decline and security worsens. These questions come at a serious time, as Algeria is in the forefront of the fight against extremist Islamist groups in the deserts to the south as well as in neighboring Tunisia. After the 9/11 attacks, Bouteflika signed an intelligence-sharing relationship with the United States. However, he refused to take part in NATO’s effort against Qaddafi in 2011 and refused to send troops to Mali to join the French military offensive in northern Mali. When Jihadists attacked the giant Amenas gas plant, he allowed U.S. surveillance drones to hover overhead throughout the operation.21 Algeria is also a key player in attempts to get the warring parties in both Libya and Mali to lay down their weapons and talk. For the West, Bouteflika’s departure, when it happens, could be a big loss especially since the Arab Spring eliminated longtime allies such as Egypt’s Mubarak, Tunisia’s Zein el-Abdine Ben-Ali and Yemen Ali Abdallah Saleh. At the end of the day, the West could find itself without reliable interlocutors in North Africa.